What a beautiful green salad! I love your blog, thanks for all your delicious post! The fresh salad grown from own garden by oneself, i can imagine the satisfaction and relief. The salad looks great! I can tell from the picture that it’s organic and there are no chemical boosters used to grow it. 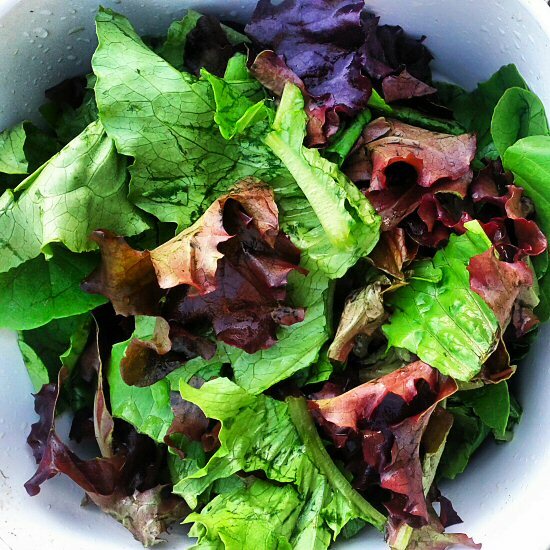 I also like to grow lettuces all year long, except for the summer, because they don’t thrive in such a hot weather.